Mr. Laofang Bundidterdsakul holds a Bachelor of Law degree from Chiangmai University. He is a human rights lawyer and founder-director of Legal Advocacy Center for Indigenous Communities (LACIC) based in Mae Hong Son Province, Northern Thailand. Since 2006, Mr. Bundidterdsakul has been working with indigenous people on land rights and citizenship rights. As an ethnic Hmong native, he aims to ensure legal access rights to indigenous people in Thailand and protect natural resources through his work. The Challenge: In remote parts of Thailand, rights of indigenous and ethnic communities are often dismissed and overlooked by local authorities. These communities are isolated and have limited understanding of their rights and legal procedures. Mr.Bundidterdsakul aims to improve the situation by conducting real trials in which other villagers and community leaders would be invited to witness and learn from the process. He will be presenting Mr. Su Wang-poh, a native Hmong villager, to assert his tribal land rights in a case against local authorities. He also wishes to encourage four local Hmong villages and their community leaders to observe the trial as an educational instrument which will help increase awareness of their legal rights. 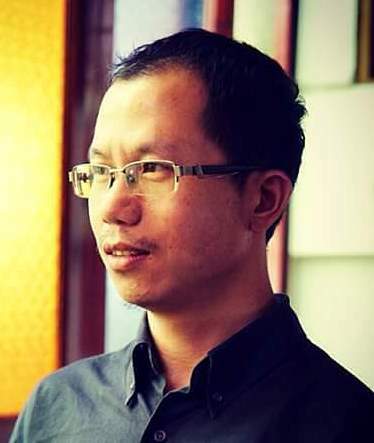 Results:After the trial of Mr. Su Wang-poh, (which the Fellowship is supported) the court dismissed his case. However, the prosecution has appealed the decision which is currently pending. Mr. Bundidterdsakul filed an opposition to the prosecution’s appeal which was submitted to the court on August 30th, 2016. Mr. Bundidterdsakul just finished a case regarding an elderly woman who was sued over the placement of her house on contested land. The judge fined her 50,000 Baht (1,430 USD) and gave her a suspended sentence of 2 years. On September 13-15, 2016, he conducted a hearing in the trial court. This lawsuit is also a land rights case concerning the Hmong people. Other activities: “My colleague and I just finished a negotiation meeting with the local national park officer concerning the land rights in the Salween River basins where the indigenous Karen people have lived for generations. They have now agreed to make a new boundary amendment for community land. From the 20th of September until end of the month, we will be organizing field work in 3 communities with the national park officer to establish this new boundary amendment”. “As I mentioned on a previous report, I cannot conduct an observation of the trial court. Therefore, I will adjust this budget’s activity to organise a legal training for the community leader of Mr. Su Wang-poh’s village and other villages nearby. I think it is very important for the community and the leader to know about laws and policies under the new constitution which affect their life. Loafang successfully negotiated the serious conflict between the native Karen people and the national park officer. His organization went to help those communities by organising a stakeholder meeting, with the appointed representative from the community, as well as the national park officer and local NGO conducting a meeting in each community resulting in mapping the boundary. This activities began last March in the first area of 32 communities, and they now have achieved success for 12 of those communities. Now they will continue to work with the other communities. However, in November, 2016 , they met with the second national park chief to conduct the same process. Laofang followed up on the Salween River dam project and provided legal consultation to the local community on the potential dam impact area. The governments of Thailand and Myanmar as well as a Chinese company have planned to build many dams on the Salween River. There are plans to build 5 different dams on part of the Salween River which flows though Thailand and near Thailand. Now the most progress is nearby the Hutgyi dam and is Laofang’s target area. For the past two years his organisation follow up this project, providing legal consultation to community, and supporting their efforts to submit a complaint to the National Human Rights Commission. They continue to follow up on this project and are assisting the community as well preparing as the legal documents to sue in the administrative court. Loafang has also continued legal research to submit to the Center for Ethnic Study and Development (CESD) of Chiang Mai University and will present his paper at the second academic conference on “Ethnic Relationship and Development” which will be organized in 26-27 December, 2016, at Chiang Mai University. His topic is “A Space of Indigenous People’s Rights to Land and Natural Resources on the Criminal Procedure of Thailand Criminal Law System”. A part of his research was obtained from his documents and experiences during his JusticeMakers project.